In an effort to locate his missing children, Dragon engages a group of super-freaks who have ties with the Vicious Circle. He battles against these relatively harmless criminals and is joined in the fray by the Golden Age hero known as Daredevil. His arrival had been unexpected but Daredevil explains that all of the superheroes that had been held prisoner by Solar Man for decades had now been relocated by the government into various cities across the United States. Dragon wonders how Solar Man could even coerce so many of Daredevil’s peers into getting trapped and transformed into energy. It seems that some of the heroes volunteered for the process but many simply were betrayed, getting tricked into entering the energy chamber. Daredevil and four of his closest friends were in the group that were betrayed. He and Dragon make short work of their opponents before heading to a local bar to get to know one another a bit better. Daredevil reveals that he had been around twenty years old when he became trapped in Solar Man’s mechanism and has spent a year or so getting acclimatized to life in the present. Dragon is concerned that the foes he will face now will be far more dangerous than any he fought against during World War II. 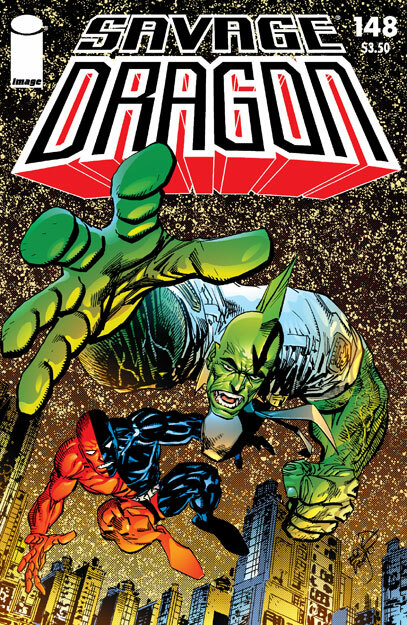 Daredevil then leads his new ally to meet the four friends that were trapped with him; confidant that they will be able to locate Dragon’s kidnapped children. He is surprised that these friends are the Little Wise Guys, they themselves being only a group of youngsters. The Little Wise Guys use their intelligence and resourcefulness to come up with a plan that requires them basically announcing they have discovered where Malcolm and Angel are being held prisoner. They are ambushed by members of the Vicious Circle who take them prisoner, unaware that a secret distress call had been made to Daredevil. He races over to the scene with Dragon but ignores warnings to slow down, leaping directly into action. Not knowing the identity of his opponents, Daredevil knocks Control loose from the Chaos monster and unknowingly unleashes the brutal creature. Dragon is left occupied by Chaos as his companion uses his superior agility to take on the rest of the villains. The battle soon starts to shakes down buildings around them. This seismic activity causes the Vicious Circle’s safehouse to begin to fall apart, encouraging Malcolm and Angel as they know that their father is coming. Chaos ends up taking Dragon out after knocking him through the building, causing it to completely fall down. The children’s captor is forced to flee before the debris causes her any harm but they remain locked in their manacles. Daredevil continues to fight to liberate the Little Wise Guys but Scarecrow is taken hostage by Iron Jaw. 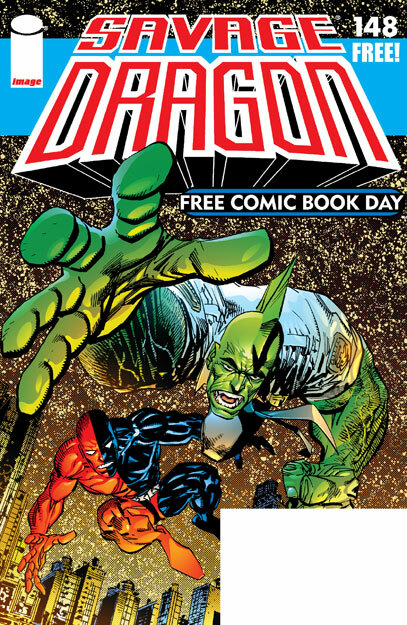 The villain threatens to kill his prisoner unless Daredevil backs off but Dragon returns and takes out the super-freak by throwing a rock at his head. He notes that Chaos lost interest and wandered off, ending the current threat. Valerie Brisbane is consumed by the bright light which opens up her mind to all manner of things, initially linking her to every single thing in her home town. This merging continues on until the entire Earth runs through her brain but does not stop there. She soon experiences visions of the planet Ethra, a planet similar to Earth but millions of years older. Its resources have long since been diminished but an area still thrives thanks to the sentient tower known as Powerhouse. The Powerhouse entity empowers a select few with lenses that then transformed them into Ethereal Warriors who serve as noble warriors. One of these Ethereal Warriors went rogue and stole two other lenses, accidentally causing a dimensional rift that sent him to Earth. He was pursued by Ethrian who sent him back home but not before another version of Powerhouse had been created in what is now known as the Hot Zone. This tower lost its sentience but had been looking for someone to restore this existence, now choosing Valerie to revive it. Chuk removes a now unconscious Valerie from the light and notes that he had noticed Powerhouse briefly showing life once more.